The Innov-ís 990D is priced to fit your budget but designed to give your projects that customized, high-end look. 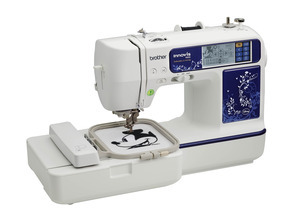 With 168 built-in sewing stitches, 105 built-in embroidery designs. The Innov-ís 990D is priced to fit your budget but designed to give your projects that customized, high-end look. 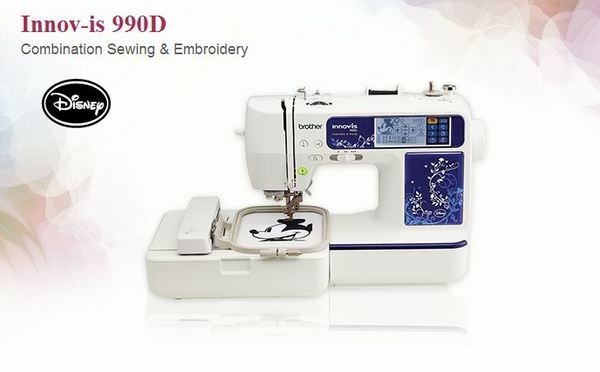 With 168 built-in sewing stitches, 105 built-in embroidery designs, including 35 featuring Disney characters, 120 border frame combinations, 9 built-in fonts, and an additional 200 designs on the included Embroidery Design Boutique CD, it is easy to add a personal style to your creations.